Shahid Kapoor's daughter Misha, who recently turned one, has been making headlines for the cute little things she does. 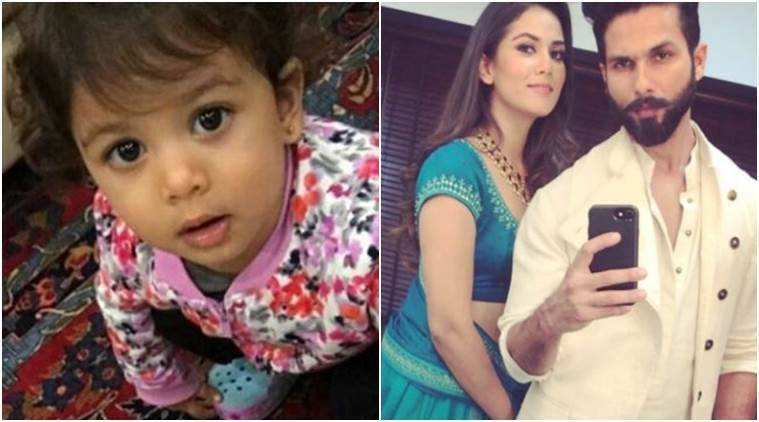 Dotting father Shahid has never failed to share some adorable pictures of his munchkin but this time it is Mira Rajput who proved that her daughter has the knack of being a celeb. Shahid Kapoor’s daughter Misha Kapoor is too cute for words. Misha Kapoor, the darling daughter of Shahid Kapoor and Mira Rajput, is the apple of our eyes. The little one has never failed to make headlines and even today, she has forced us to say ‘aww’ with her adorable picture with mommy Mira. In a snap that is going viral on social media, we see Misha looking right into the camera while Mira looks a bit shocked. What has caught our attention is the way how Misha is comfortable in front of the camera, just like a star. Maybe that is one quality she is sure to have got from her father Shahid, who never fails to win hearts with his on-screen presence. Before this picture, it was Shahid and Mira who stole the limelight with their first ever magazine cover photoshoot. The two looked drop-dead gorgeous and they sure prove they are a couple made in heaven. Even after having a baby and two years of being married, their camaraderie and love know no bound. There have been rumours that Misha would also be making her on-screen debut soon but nothing has been confirmed. Meanwhile, Shahid has the magnum opus Padmavati in his kitty. The actor plays the character of Raja Ratan Singh in the film and stars opposite the leggy lass Deepika Padukone, who plays his wife Rani Padmini. Apart from the two, the film also stars Ranveer Singh in a negative role of Delhi Sultanate Allaudin Khilji. The film, directed by Sanjay Leela Bhansali, will hit the screens on December 1 this year.